Indy may be home to the world’s most famous auto race, but fast cars aren’t the only wow-worthy attraction in the Hoosier State’s capital—it’s also where you’ll find the world’s largest children’s museum. Located just minutes from downtown, the five-story Children’s Museum of Indianapolis packs 12 permanent galleries into its 500,000 square feet of space, featuring exhibitions about everything from outer space to art. If your kids are curious about T. Rex and friends (and what kids aren’t? 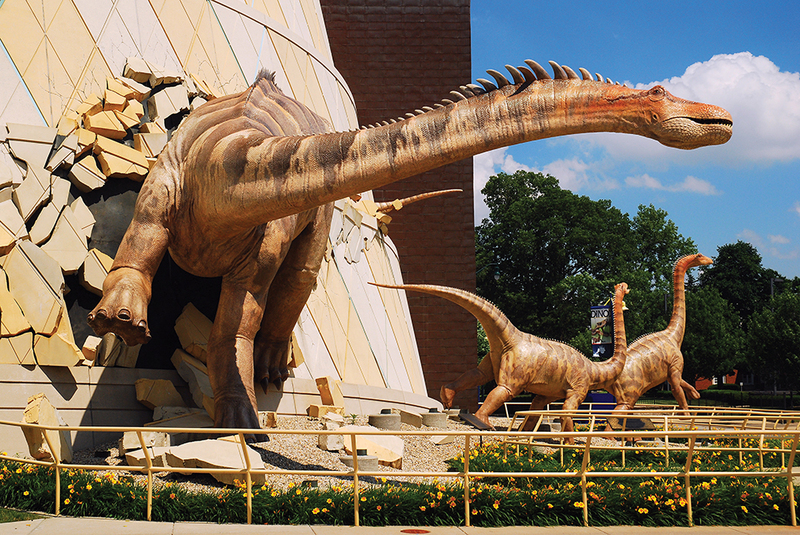 ), don’t miss the museum’s interactive Dinosphere. There, kids are transported 65 million years back in time and come face-to-face with full-sized dino skeletons, prehistoric plants, and even a newly discovered dinosaur whose official name was inspired by Harry Potter. (Bonus: Entrance to the Dinosphere is free with museum admission.) Don’t leave the museum without going for a spin on its popular, fully restored antique carousel, grabbing a bite in its colorful food court, or taking in a play or other live performance inside the Lilly Theater. There’s nothing quite like the magic of the movies, especially when it comes to the larger-than-life variety. 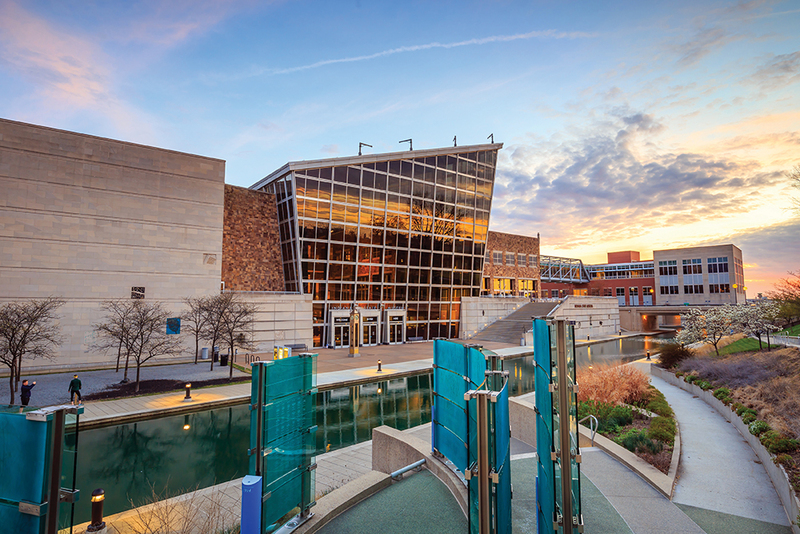 At the Indiana State Museum’s IMAX Theater, the largest in the state, catch a kid-friendly flick or IMAX-exclusive feature that’ll have your family exploring places like the Amazon and America’s national parks. (Films change frequently, so be sure to visit the theater’s website to keep current on what’s showing.) New seats were installed in 2017, meaning your next IMAX viewing here will be comfier than ever. All that exploring is sure to drum up a monster appetite. At the popular Bru Burger Bar on Massachusetts Avenue, kids’ meals will cost you just $6 and include their pick of an entrée (think mac-n-cheese, fried chicken bites, and of course burgers), fries, and a soft drink. For a more novel burger night, head to Mug N Bun on the city’s West Side, where you’ll all get a kick out of drive-in dining. Whether you order a foot-long frank, a burger, or a slice of cheese pizza, wash it down with a homemade root beer or creamy shake. Have kids who are curious about science and innovation? If so, a few days in Columbus will be just the ticket. 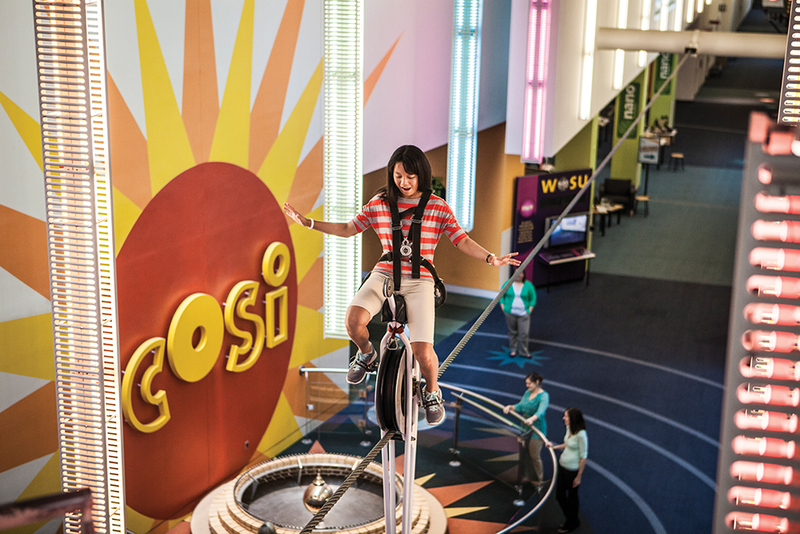 There, at the Center of Science and Industry, otherwise known as COSI, they can let their imaginations run wild through 320,000 square feet of exhibits, theaters, and interactive displays that take a deep dive through countless facets of life here on earth. Founded in 1964, COSI gives guests a chance to explore life under the ocean’s surface, take virtual adventures into outer space, and revisit some of the most life-changing innovations in modern times. In addition to exhibitions, guests can sit in on fascinating talks and lectures, pay a visit to the planetarium to learn about the universe, and be wowed by science- and nature-themed films on the center’s National Geographic Giant Screen. For kids who just can’t get enough, COSI offers Camp-Ins, which invite groups, families, and all guests to spend a night in the center and enjoy specially planned programming. Camp-Ins for 2018 begin Friday, February 16, and are offered through August, with both co-ed and girls-only options. 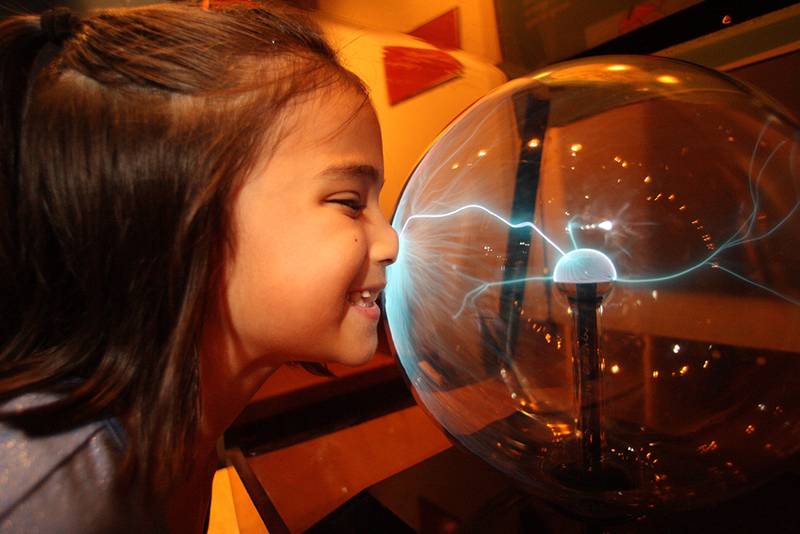 We dare say that, by the time you leave COSI, you’ll have a few budding scientists on your hands. If you’re planning to visit Columbus in spring, summer, or fall, spend some time exploring outdoors and getting hands-on at the Franklin Park Conservatory and Botanical Gardens. There, families can take part in gardening activities and dig in the dirt, and kids ages 5–13 can sign up for summer camp programs. 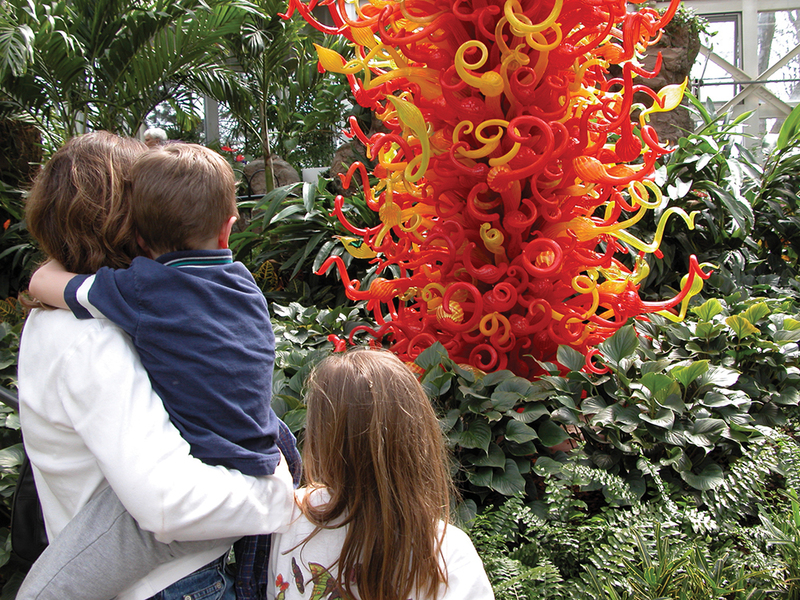 Guests of all ages will delight in artist Dale Chihuly’s colorful and whimsical glass creations, which are on permanent display in the conservatory. Be sure to visit the conservatory’s website to stay up-to-date on upcoming exhibitions for 2018. 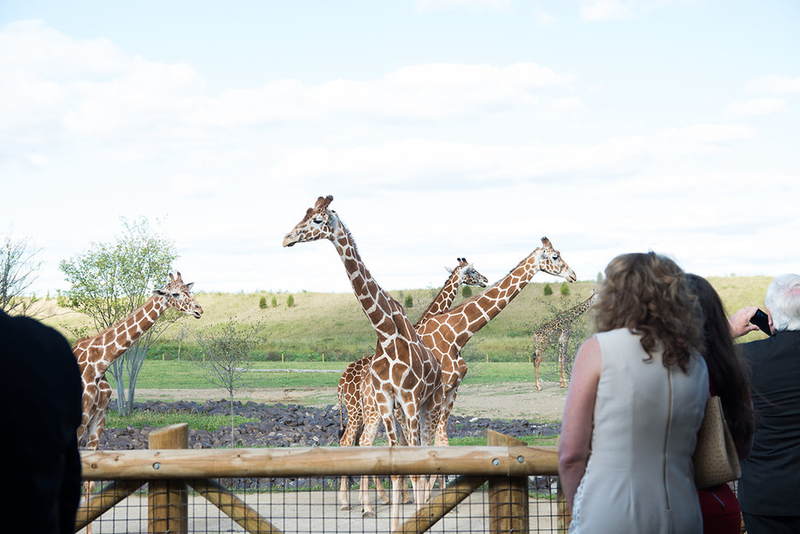 If your little ones love the company of critters, head to the Columbus Zoo and Aquarium, where they’ll encounter animals from Asia, Australia, Africa, and beyond. 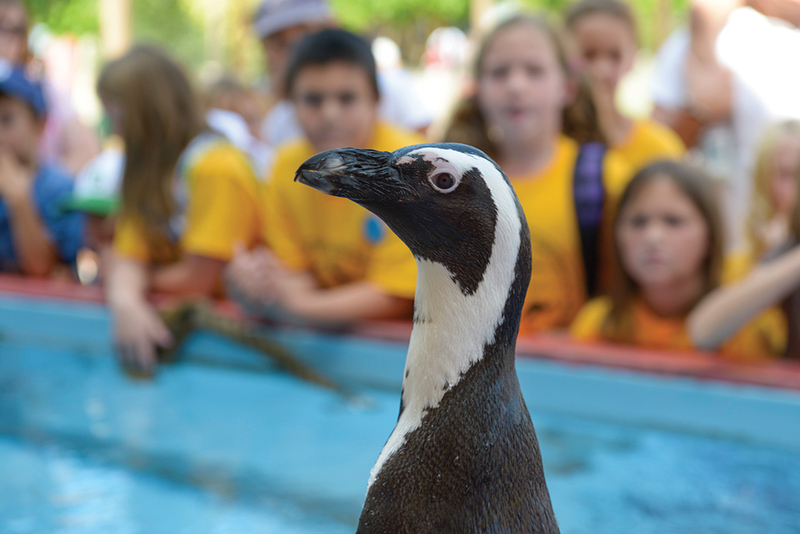 The zoo, whose director emeritus is renowned zoologist and animal expert Jack Hanna, offers Camp-Ins, as well as family and kids’ programming. There are even exciting rides, including an adrenaline-pumping 4-D Theater that simulates movement and puts visitors in the center of nature’s most heart-pounding action. 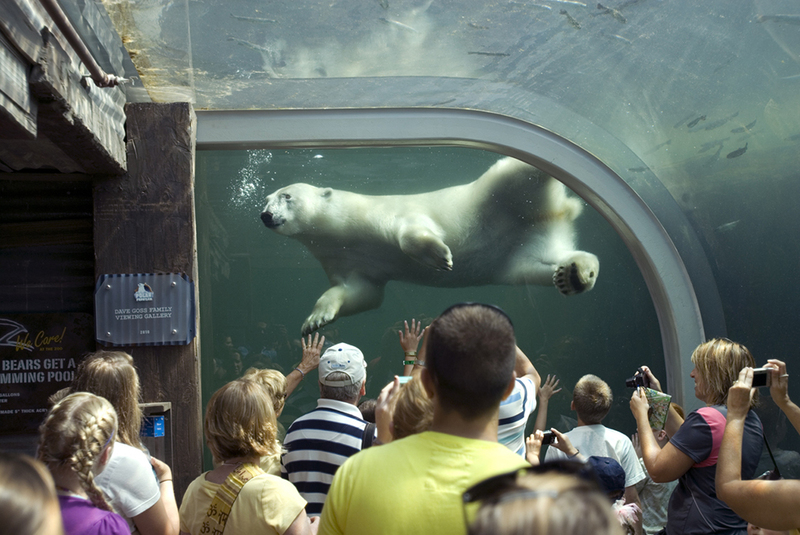 If you are a member at the Cincinnati Zoo & Botanical Garden, show your membership card at the Columbus Zoo & Aquarium for a 50 percent discount on admission. Columbus is home to Major League Soccer’s Columbus Crew and the Columbus Clippers, the Triple-A affiliate of the Cleveland Indians. Catch the Crew at MAPFRE Stadium March through October, and the Clippers at Huntington Park during baseball season. And from mid-September through mid-April, you can watch the Columbus Blue Jackets, Ohio’s only NHL team, take to the ice at Nationwide Arena. Baseball is America’s most beloved pastime, and the dream destination for even the sport’s smallest fans is the Louisville Slugger Museum & Factory. Upon arriving at the museum, kids will be wowed by a giant, 120-foot-tall “Big Bat,” an exact-scale replica of Babe Ruth’s own 34-inch Louisville Slugger. Inside, families can take guided 30-minute tours of the factory, where they’ll see the company’s famous namesake bats being made (all guests receive a miniature souvenir bat when the tour is complete). Beyond the factory tour, the museum is chock-full of galleries filled with baseball memorabilia, plus interactive exhibits. Browse a wall where thousands of players’ branded autographs are on display just as they were on their bats, or step up to the plate and take a swing in Bud’s Batting Cage, named after Bud Hillerich, who made the first Louisville Slugger bat in 1884. There, visitors can hit with replica bats of legends such as Babe Ruth, Jackie Robinson, and Derek Jeter. If you feel more comfortable on the mound, check out the Batter Up! simulated pitching experience. See how fast—and how many strikeouts—you can throw. Kentucky is among the most famous racing destinations in the equestrian world, but in Louisville, you don’t have to be a professional jockey to get in on the action. Instead, just head to the Louisville Equestrian Center. 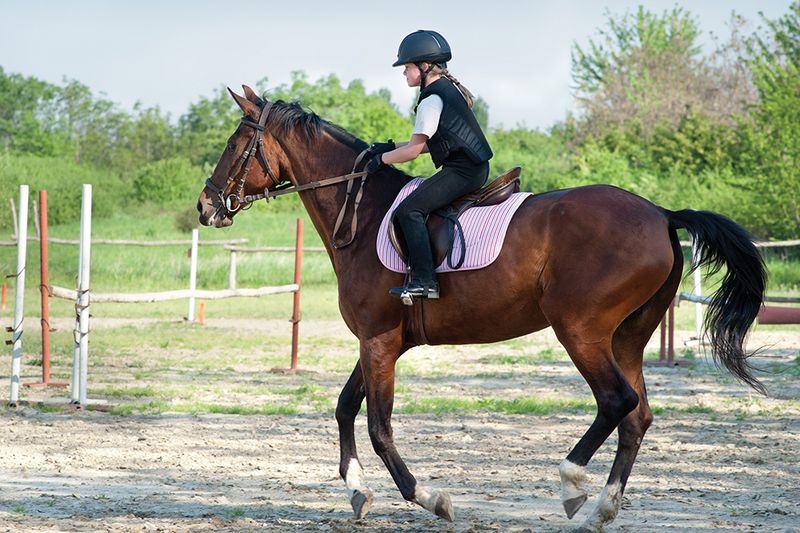 There, visitors ranging from beginners to expert riders can take horseback riding lessons. The center, which is home to more than 80 horses, also offers riding camps, horse shows, special children’s activities and educational programs, pony parties, and even equine theater. 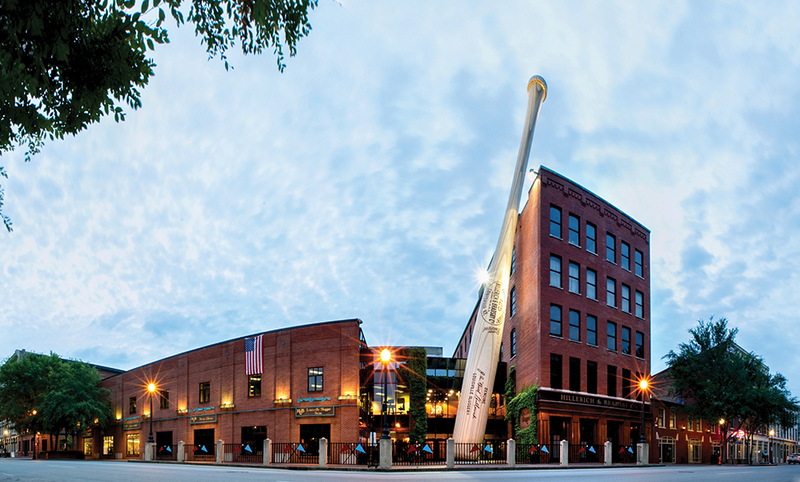 Before you head to the Louisville Slugger Museum, be sure to visit its website to download a 10 percent discount coupon for use at its super-cool store (souvenirs, anyone?). Can’t get enough baseball? Take your brood out to the ballgame! The Louisville Bats, the Triple-A affiliate of the Cincinnati Reds, play at Louisville Slugger Field, which is on the banks of the Ohio River and has a children’s playground and carousel.